Hello everyone, Hope you all are doing good. Nowadays sheet masks are in trend. 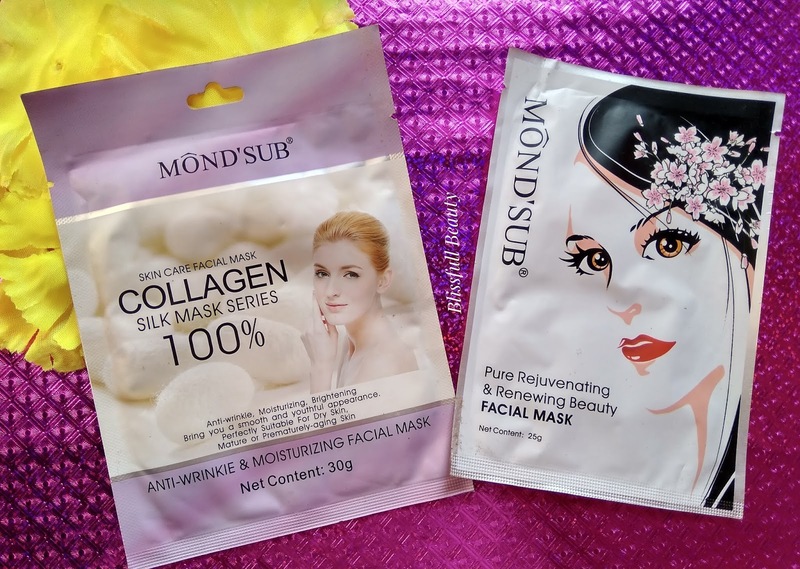 Sheet masks are provided with instant hydration and moisturization. Especially in winter sheet masks are a lifesaver for me. As I have dry skin in winter so sheetmask gives my skin instant hydration and keep moistrised.I think it is worth of the hype. Formulated with several plants extracted essences, this formula is specially designed for dry skin, mature or prematurely-aging skin. 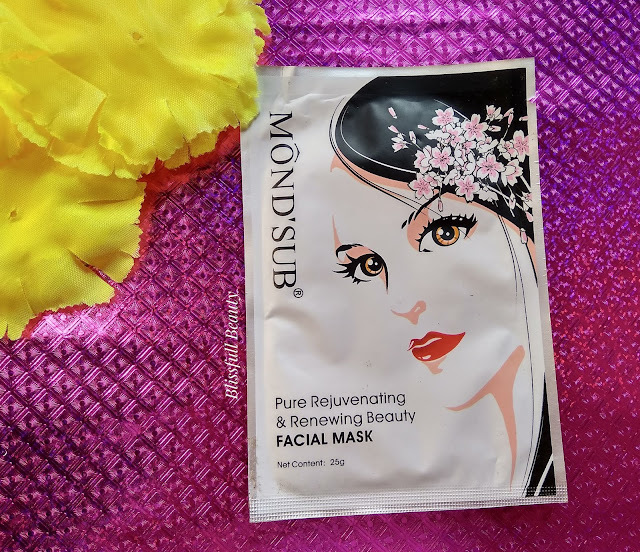 The mask can promote skin's metabolism, balance skin nutrients, and water, replenish skin fully, nourish and hydrate skin, increase skin 's vigor, arouse loose and ageing skin, activate skin's natural anti-aging ability, keep skin smooth, elastic and moist, bring you a youthful and pleasant appearance. It comes with normal sachet and inside this sheet mask covered by the film, both side one is pearlised film blue film is outside.All detailed information are mentioned back side of the package. 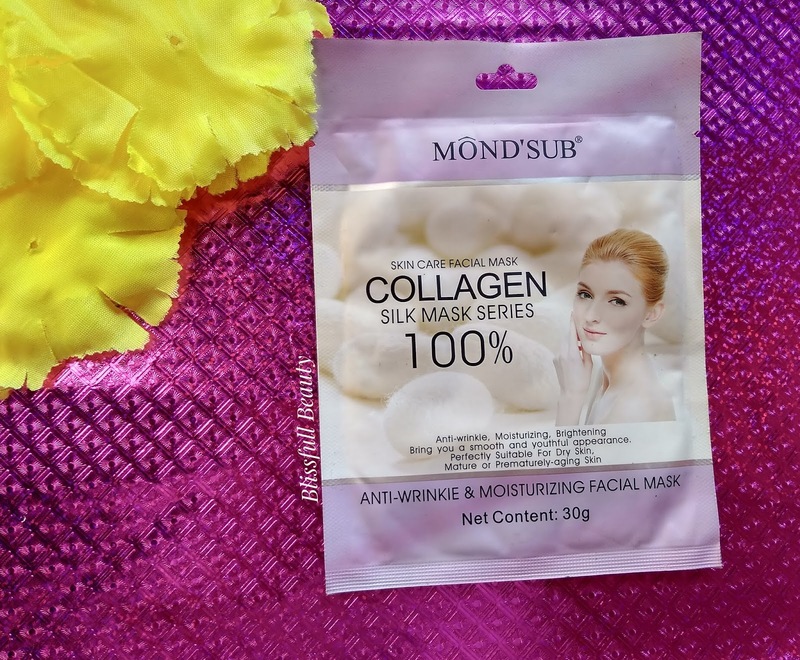 1)After cleansing face, take the mask out from the package. 2)Remove the white pearlised film, then apply the mask on the face(the blue film is outside). 3)Remove the outer blue fiber film from the right or left notch. 4)Adjust the facial mask on the face to make it contact with skin well. 5)Leave the mask on for about 15-20 minutes. 6)Remove the mask , massage redundant essence in to skin gently, then rinse the face. I am applying after cleaning my face and keep it for 20 minutes and then after i massage on my fingertips on my face so that residue serums are absorbed on to my skin. Instantly I feel my skin is moisturized and a little bit glow on my face. This mask contains plenty of pure concentrated anti- aging essence, it will provide your skin with abundant active ingredients. It can firm your skin , fight against the aging, dark and dry skin and reduce fine lines. And makes your skin look radiant, shinning. It can be used before an important party, or even an wedding, just bring you a fresh and new skin instantly. It comes with a white color sachet and all details information about this product are mentiomed back side of the sachet. After cleansing the face, apply the mask for 15-20 minutes, then take off, gently massage your face for complete absorption. Rinse face with warm water. Suitable for aging, dull, dry and wrinkle skin. This sheet mask is perfect for dry skin. In winter my skin is very dry. I am applying this sheet mask and I feel cooloing sensation on my face which feels relaxed and best for dull skin in winter.I loved this sheetmask.